Filipino prospect Mark "Magnifico" Magsayo is scheduled to face the Mexican fighter Ruben Garcia in Pinoy Pride 38 undercard on September 24, 2016 at StubHub Center, Carson, California. Magsayo who previously beaten the highly rated Chris Avalos of USA via TKO in July will defend his WBO International featherweight title against the Mexican Ruben Garcia. Magsayo is a 21 years old boxer with the record of 14 wins including 11 wins by way of KO and has no defeats. He is currently the no. 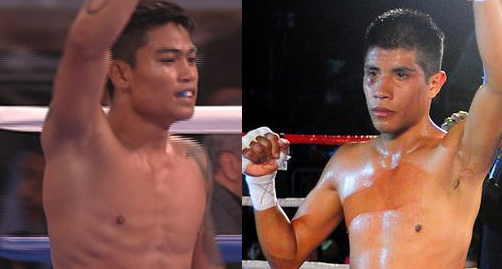 1 prospect in the Philippines after Albert Pagara was defeated by Cesar Juarez of Mexico. The young kid is now ranked no. 16 in the world by boxrec.com in the featherweight division. His promoter Michael D. Aldeguer said that his kid Magsayo is not yet ready for a big name fighter and needs to develop his skills first. Magsayo needs to improve his fighting skills, speed and defense, he was once down in his last fight against Avalos and just got lucky to win the fight. Meanwhile, his opponent Ruben Garcia is a 23 years old boxer from Mexico City, Distrito Federal, Mexico. He has an impressive record consisting of 17 wins including 7 victories by way of KO and has only 2 defeats. The Mexican warrior only defeated by the highly ranked fighter like the former IBF World bantamweight champion Randy Caballer of the USA and the undefeated Rafael Rivera of Mexico who defeated Wilfredo Vazquez Jr last year.